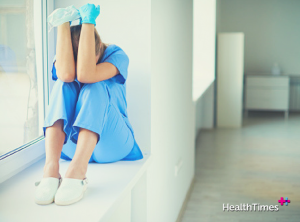 With greater demands being placed on nurses in recent years, it’s expected that nurses may end up feeling more stressed out and overworked during their shifts. There can be multiple causes of stress in the workplace and many of these cannot be easily avoided in hospitals. Typical causes of stress will usually be not just one factor, but a cumulative effect of having to deal with non-cooperative patients and visitors, a hectic work environment, or perhaps difficulty in coping with multiple responsibilities (1). Many of these work-related stress hazards are outlined in the Australian Nursing and Midwifery Federation in the Workplace Stress Prevention Policy (2). Some days nurses may feel incredibly rewarded and appreciated by their colleagues and patients, yet other days they are unable to sit down and take a break. Therefore it comes as no surprise that sometimes nurses feel discouraged and unmotivated to return to work. Stress related illness and absences in nursing accounts for the second most compensated illness in Australia (3). If stress is not dealt with early on, it can build up into chronic stress. Chronic stress can then lead to secondary conditions which are more severe, including long term problems for the heart or blood vessels which eventually take a toll on the body. Reconnect with aspects that are important and enjoyable about the job. Establishing and focusing on the connection between a personal strength or a way in which the nurse is making a difference can help nurses see their job as more meaningful, and helps them to understand and value their own personal contribution (5). Choose to socialise with a supportive, relaxed and enjoyable group of colleagues. A great team of co-workers can make the shift feel more satisfying or comfortable, especially if the nurse is working in pressure situations. Also a more pleasurable crowd can make time feel as if it’s going by faster (5). Everyone will have different methods of coping and overcoming stress, but what works for one person may not work for another, so trial and error may be required to find the best solution. Regular exercise is one of the best ways to combat stress, as exercise releases endorphins in the brain and can promote feelings of relaxation, regulate blood pressure, and serve as a healthy stress relief outlet. However when looking for a quick and easy way to relax and calm down on the job, slow and deep breathing methods have been shown to lower blood pressure and decrease feelings of anxiety (4). Changing routines may not always be possible on a day to day basis, but by prioritising tasks and completing more difficult and challenging tasks early on in the day whilst feeling more alert, nurses can relieve some of the pressure and expectations on them towards the end of the shift. Practising gratitude and writing down positive moments that have happened in the day can help nurses to appreciate their work and look forward to their next shift when they re-read their notes (5). If the stress is a result of a predictable and regularly occurring scenario – such as an understaffed ward or a busy shift – then coping strategies can be prepared to avoid pressure in the future. Nurses should aim to prioritise their breaks when feeling overwhelmed. If there is a feeling of stress building during the shift, then they should avoid accepting extra work if they feel they cannot reasonably handle it. With difficult and sometimes disturbing situations, it is critical that nurses take regular breaks so they can recharge their mind and body. If feelings of stress are building up and cannot be resolved on their own via personal coping strategies, then it is important to share concerns with colleagues and raise awareness at work. Colleagues will usually be understanding and sympathetic towards work-related stress issues, and by sharing it is possible to take a collective approach to seek a solution. By taking a problem-solving approach at work, you can fix problems that are within your power at work (1). Ideally, a healthy work and life balance would be enough to avoid work-related stress impacting personal life. If there is an imbalance then stress can escalate and negatively impact on health. It is important to take time out whenever possible to pursue other interests and hobbies, socialise, and maintain healthy eating and exercise habits. Instead of dwelling on previously committed mistakes or a hectic nursing shift after it has ended, aim to use that energy to learn from the experience or find a coping strategy. If the stress is down to a lack of skills or expertise, then the nurse has the responsibility to recognise their mistake and act in acquiring the skills in the needed areas (1) (6). Many nurses report that regularly writing their experiences in a journal has helped them put situations into perspective. Recalling and then seeing the situation in writing can make it easier to review the details of the event and consider whether the situation could have been handled in a different way with a less stressful outcome. Revisiting one’s older journals from previous years allows an honest evaluation of personal and professional growth and can be helpful in annual employment evaluations (6). Employers have a duty to take care of their employees and make sure the work environment is safe and comfortable. Any issues raised relating to job stress by a nurse should be considered seriously and the necessary steps taken to counteract the stress.